Frequently people ask me how they should prepare their horses for an endurance ride and others, interested in knowing more about this sport, ask what endurance is all about. Endurance riding is all about your crew. Even if you´re only a crew of two, you and your horse, you need to have built a good relationship over time so that you are both prepared for your race of resistance. 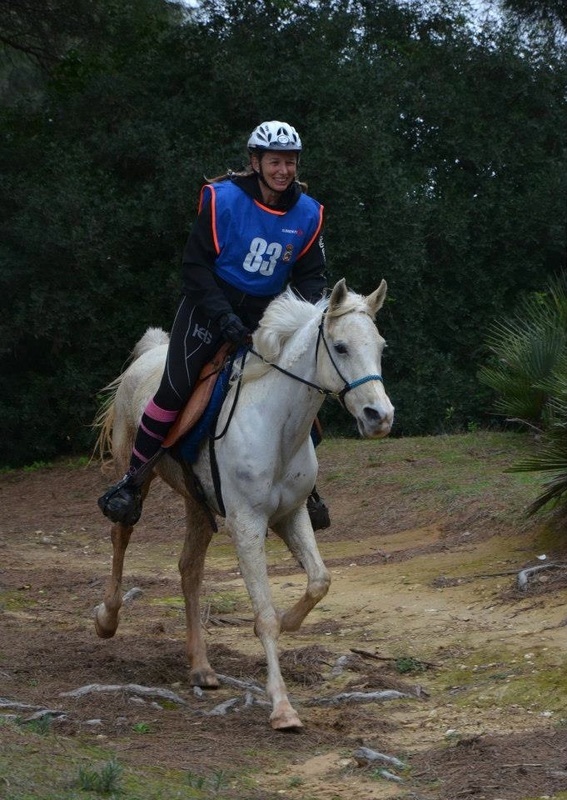 Endurance riding is about you and your horse against the clock, not against other riders. It is a sport of the mind, not speed. A sport dominated by Arabs, because there are lots of them, but any horse with the right training and diet can compete. Heck even mules can compete, and do so very well. You don´t run fast, you run smart! 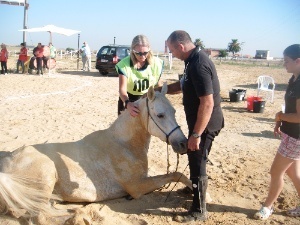 The competitions consist of a Vet Gate, where all horses are given a ´medical´ before the start of every race. Various metabolism checks, heart rate, any wounds, the signs of any pain especially in the spine and of course lameness are all checked out before a horse is considered apt to compete. Or I should say ´continue´, because these same checks are carried out after every phase of a competition, and especially the final phase, and it is the horse best apt to continue who will take the “Best Condition” trophy. This is the prize I personally appreciate, more so than placing in the top 3. The race is then split into phases, depending upon the total distance, and after each phase there is the aforementioned Vet Gate then an obligatory rest time before continuing on the next phase. At the lower levels there are speed limits of both a minimum and maximum, whilst once you move to “starred” competitions there are no maximum speed limits. One-day competitions can be from 20km´s up to 160km´s. Preparing a horse for endurance riding starts out with the correct diet and management (a horse living out will fair far better than a horse living in a stable) and long slow distances. Whilst you are just walking no recovery days are necessary, but you must school your horse to develop balance and flexibility correctly. 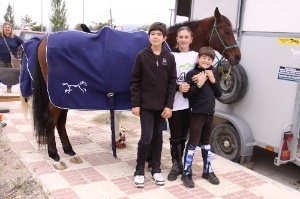 One day a week in the school assures suppleness and helps your horse to learn to listen to you. The principles are to build your horse up gradually to a maximum work level. A stressful session must be followed by a day of recovery. The harder and faster you train, the more recovery days you need to put in. If no recovery is allowed you will break down what you have built up, causing injuries to the weakest parts of your horse. Don´t do hard workouts on consecutive days, and no more than 2 of the hardest workouts per week. Only advanced horses can do this, not novices. One complete rest day per week is obligatory. Time scales in preparing your horse must take into consideration the various body tissues that have to adapt and condition for the tough sport of endurance. So often a horse shows great recovery times with it´s heart rate early on in it´s career, and is subsequently pushed on to longer distances whilst it´s tendons or bones are just not ready. Sooner rather than later that horse is never heard of again on the endurance circuit! In short, the first 6 weeks of preparation should be dedicated to walking. With barefoot horses you would extend this time to around double. This would then progress to 5 to 6 weeks of trot work, before moving up to the canter phase of training. Each phase is designed to develop different areas both physically and psychologically and will consist of various distances and times. The trot phase, for example, is where you would teach your horse to use their most energy-saving trot and start to condition yourself for the long distances ahead, learning to stand balanced in the saddle and develop strong ´long´ legs to do so. We organise Endurance camps, where you can learn all about the real why´s and wherefore´s with your own horse. Based, as we are, in the ideal situation of having near year-round sunshine and many varied and long routes to prepare and practice for all manner of endurance circuits, this is the adult alternative to the childhood riding holiday! Missed out on that horse riding holiday as a child? 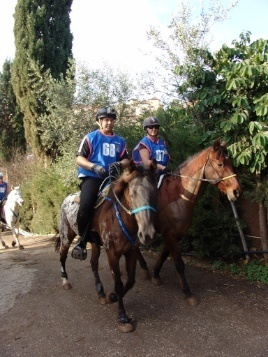 We organise personalised endurance training camps for you and your horse. Taking a maximum of 6 at a time you can spend 1 or 2 weeks (or more!) 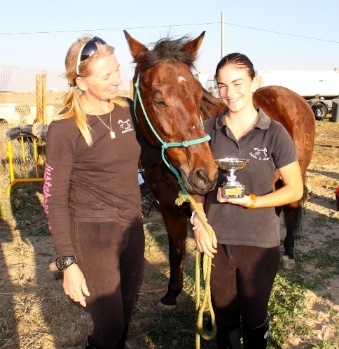 with us on the Costa del Sol learning how to prepare your horse for endurance riding, or developing your horse that next stage further, utilising the ideal varied terrain we have here. Endurance training camps can be just that, camping style in tents, or for those who´d prefer a hot shower we have cottages to rent for couples. If not we can help you organise accommodation in either of the two nearby villages. Your horse will be housed in paddocks with shelter, fresh water and constant, ad-lib, hay. Hard feed will be according to the individual and it is advised you bring sufficient for your horse for the duration. Where did the name come from? Spirit of the Wind - the Ghost Wind Stallions, the ancestry of our Appaloosa´s and for what it means to work as a happy well-oiled cohesive machine hence "Team Spirit"
Due to our competition calendar and other commitments the endurance camp weeks are limited throughout the year to 6. Please contact us for further details on all aspects of these exciting action programs.